There is nothing quite like getting off the interstate to help you get to know a place better, and nowhere is that more true than Nebraska. 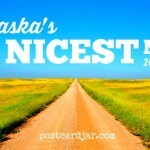 Our state has a reputation for being flat and boring because the interstate used by hundreds of thousands of people each year follows the Platte River valley. Head north off the interstate in western Nebraska, and you’ll find yourself in a geographical area unlike anything you’ve seen elsewhere. Vast sand dunes left by an inland sea that disappeared millions of years ago stretch as far as the eye can see, blanketed by grass, speckled with colorful prairie flowers and other unique drought-resistant plants. Some of the unique flora in the Nebraska Sandhills. You can go miles and not come across anyone else on the highway, leaving you with a sense of freedom and possibility. It’s exhilarating. When we planned our trip around Nebraska with my parents this summer, my dad was very specific that he really wanted to see the Sandhills. Like millions of others, he’d done the I-80 route but had heard all of his life about the beauty of western Nebraska and he wanted to see it for himself. It was easy to work this into our trip, as the Sandhills cover just over a quarter of the state. The Dismal River winds through the scenic Nebraska Sandhills. We headed north out of North Platte, and after just a few miles the highway began to meander up and down, gently winding across the face of hills. We took our time, stopping along the way to snap photos, and enjoy our trip. 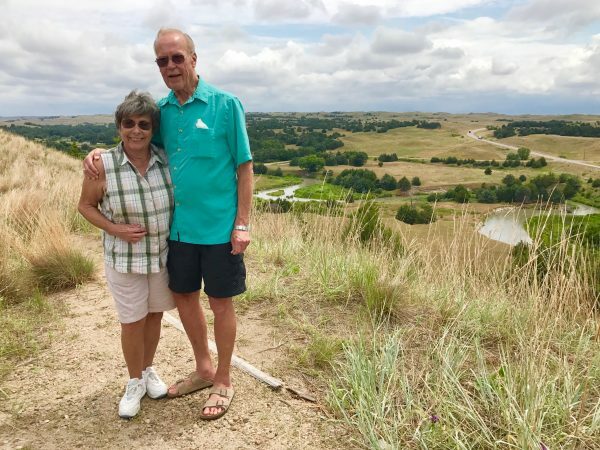 Steve’s mom and dad take a minute to enjoy the view across the Dismal River valley in the Sandhills. 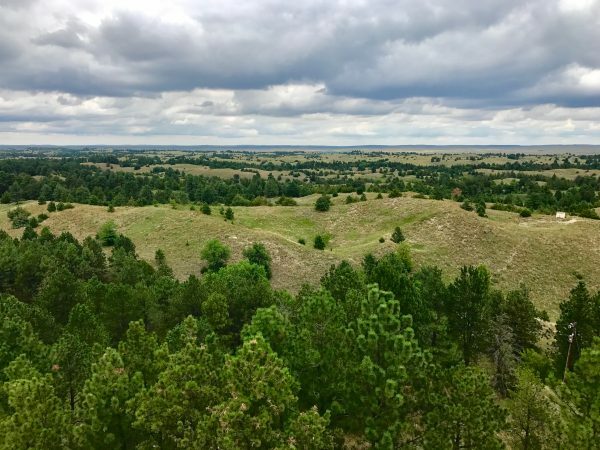 Smack dab in the middle of the sandhills, the vast prairie of Nebraska is interrupted by a forest. 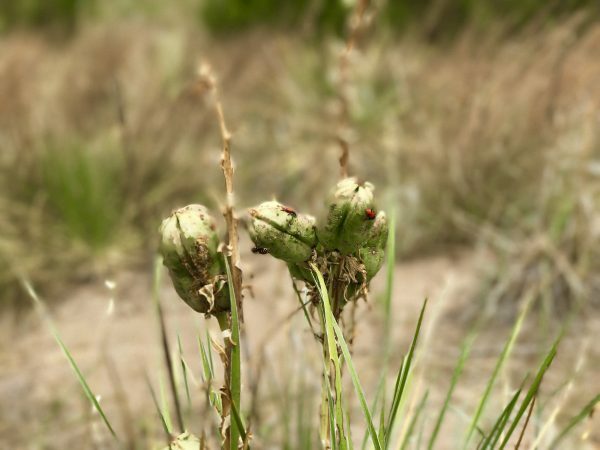 It turns out this national forest isn’t native to Nebraska, at all, but was planted as an experiment in the early 1900’s by a University of Nebraska botanist who thought the sandhills were ideal for trees. The 22,000 acre, hand-planted forest is dwindling, not sustaining itself as expected, but that doesn’t mean it’s not worth a visit today. In the forest, you’ll find the Scott Lookout Tower, used by rangers to watch for forest fires. It’s a tower, so of course I had to climb to the top. Ann has a lot of joint pain, but was also determined to get to the top and just took her time getting there, as the view promised to be spectacular. 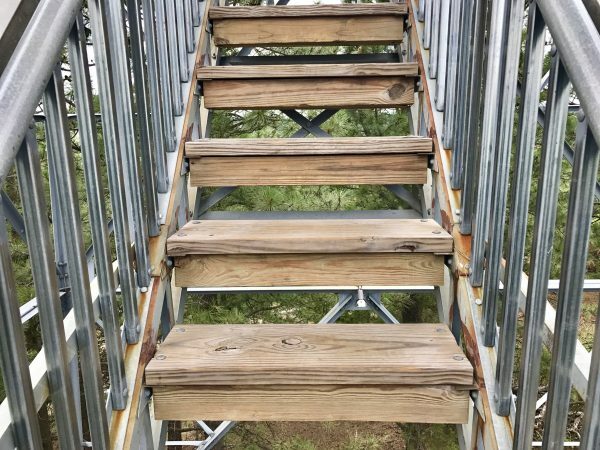 The stairs of Scott Lookout Tower are in good repair and are solidly built. As someone with a fear of heights, I climbed each open-backed, wooden step in sheer terror, knowing that somehow I would fall to my death. You may not be able to tell, but I have a death grip on that railing. 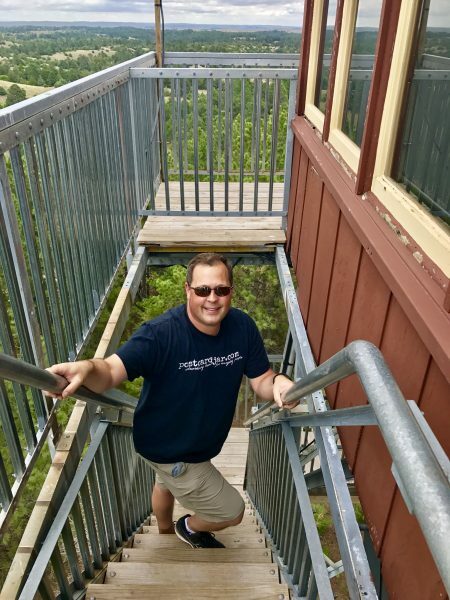 I overcame my phobia by telling myself that the steps were well-constructed, there were railings, and my fear was irrational–all of which was true. An amazing view across the forest and Sandhills awaits anyone who climbs the Scott Lookout Tower. In the end, I arrived at the top of the tower and was so glad I’d made the trip up. The view over the forest and then the Sandhills was simply breathtaking. I even gathered enough courage to stay up there for a couple of minutes and we shot this video from the top of Scott Lookout Tower. On returning to the ground (safely!) we made a quick pit stop at the visitors’ center–always take advantage of indoor plumbing when you can in western Nebraska — before setting off toward Valentine, enjoying more vistas of the Sandhills along the way. We loved that the only signs that humans occasionally pass this way were barbed-wire fences, cows and windmills pumping water for them. 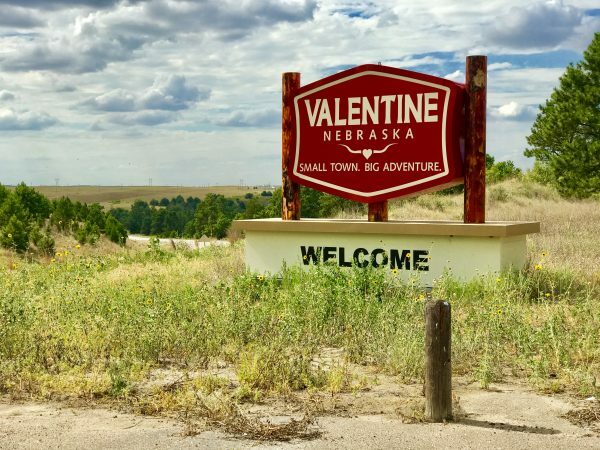 A small town, Valentine offers big adventure to visitors. We pulled into Valentine, and checked into our rooms at the Raine Motel. The Raine is one of our favorite motels because the rooms are exceptionally clean, you can park your car right outside your door, and owners Tim and Dana are such friendly people. After settling in, we headed over to the Peppermill, a non-vegan friendly restaurant that locals love, where we had amazing garlic bread (that by itself makes me want to go back to Valentine) and a wonderful steak for dinner while we discussed all of the different things we might want to do the next day. 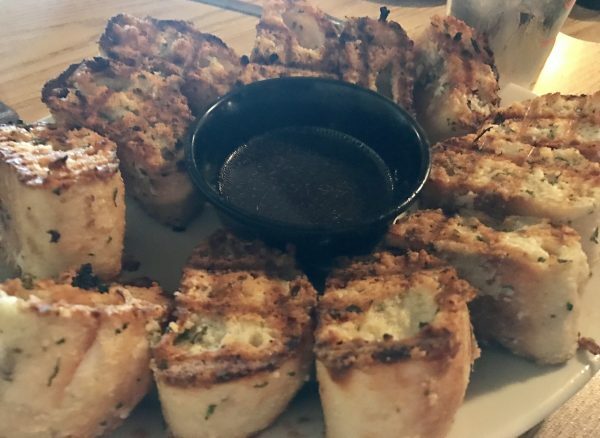 The garlic bread at the Peppermill comes au jus for dipping. We returned to our hotel, tired from a day’s travel but also with the complete sense of satisfaction. 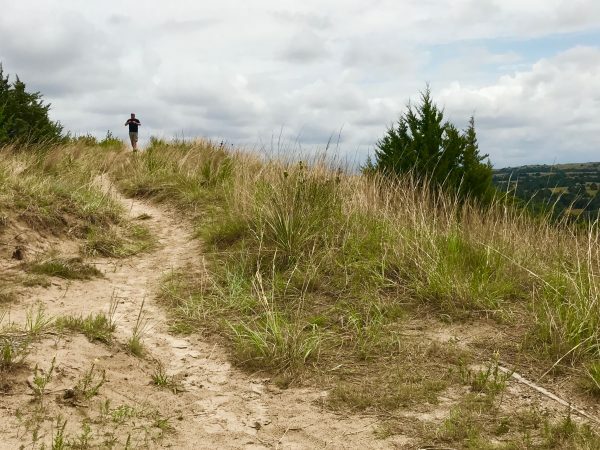 Sure, we’d had a great meal, but more importantly, we’d had a great day sharing the experience of getting off the beaten path, exploring the Sandhills and making memories with family that we’ll treasure forever. 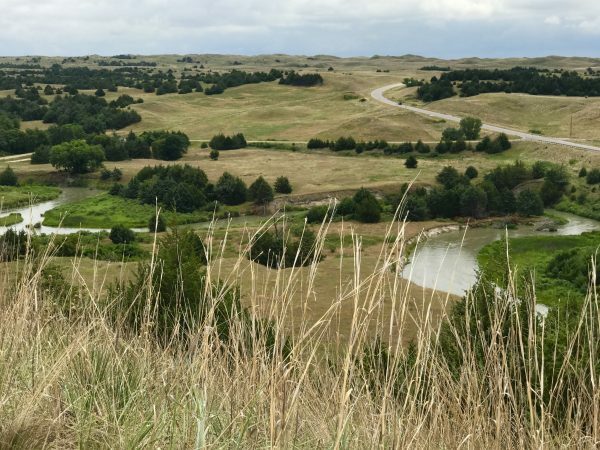 Have you ever driven across the Nebraska Sandhills? Tell us about it in the comment section below. Love your website and blogs. Also loved meeting you guys at the Agri-Eco Conf. in Ord. I am hoping you will stop in Ashby, Nebraska to throw a pot on the wheel or taste an edible “cow pie!” Only in the Sandhills! It’s really NOT for everyone!! Please come Steve & Ann! You will love it! !–CaLinda’s Pot Shop & Art Gallery, Ashby, Ne! and hey…I love my Schwan man!!! LOL! Thanks, Joni! This really is a beautiful state. The garlic bread was just amazing … tasted like buttery steak bread! 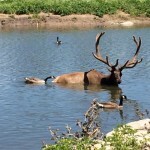 A couple of years ago Bob and I were traveling through the Sandhills…around Alliance. We saw the above-mentioned fences, and cows and windmills. I said to Bob “do you suppose the Schwan man comes way out here?” And just then what should come over the hill but a yellow Schwan truck! Must be quite the route…. Glad they can get Schwan’s ice cream just like those of us near the big cities! We’re Steve and Ann Teget. 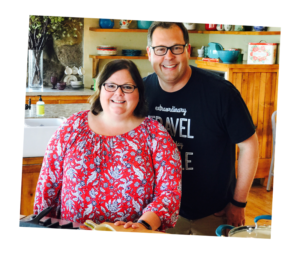 We spent more than two decades in corporate America and public education before Ann’s health and Steve’s aversion to middle school girl drama convinced us to try something new. Now we are making the most of midlife and telling authentic stories about extraordinary travel. And yes, we send ourselves postcards. Thank you for signing up to receive new blog posts in your in box! Making the most of midlife.